Joanna H. Kraus is an award-winning playwright of eighteen published and widely produced scripts throughout the United States, Canada, England, Belgium, Germany, Israel, Guam, and Australia, and an author of numerous short stories, children’s books, articles and reviews. She’s been a reviewer and columnist for Common Sense Media and Downeast Coastal Press and currently still reviews children’s books for the East Bay News Group. 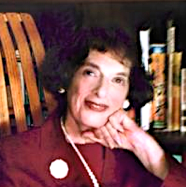 She is a member of the Dramatists Guild, the Society of Children’s Book Writers and Illustrators, the American Alliance for Theatre and Education and the California Writers Club. Joanna holds an Ed.D. from Columbia University, an M.A. from the University of California Los Angeles and a B.A. from Sarah Lawrence College. 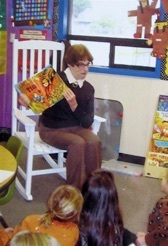 She is Professor Emeritus of Theatre and former Graduate Coordinator of the Interdisciplinary Arts for Children program, College at Brockport, State University of New York. She currently resides in the San Francisco Bay Area. Kraus conducts workshops and residencies in playwriting, and drama and the curriculum and brings to these her knowledge, experience and expertise in these areas. She also helps teachers, students and seniors appreciate and expand their own creativity, develop their communication skills, enhance their understanding of themselves and others and guides them in gathering insights on controversial issues. For more, read Anna Olswanger’s interview No Elephants in the Second Act: A Conversation with Playwright Joanna Kraus. © 2014-2019 Joanna H. Kraus. All rights reserved. Website by Andrew Benzie Creative Design. Joanna H. Kraus is an award-winning playwright of eighteen published and widely produced scripts throughout the United States, Canada, England, and Australia, and an author of numerous short stories, children’s books, articles and reviews. Please browse my website and click on the various sections above, and see below for my latest books and plays. Amazon, Barnes & Noble, Books-a-Million and Mascot Books. When Danny loses his best friend, Will, his grief is overwhelming. But with the help of a sympathetic teacher and class, he discovers love and friendship don’t have to die, as long as he remembers. Walnut Creek, California) and www.IndieBound.org. 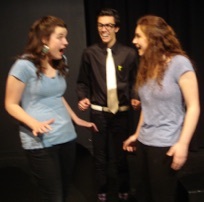 When 8th graders, Madison and Emily accidentally meet, they discover that they’re identical twins, separated at birth. But there’s one major difference. Emily is an honors math student. Madison is barely passing and she pressures Emily to take an important test for her. The 45-minute script will tour several Utah classrooms, Spring 2017. For further information, contact playwright. Can a rescue dog win a grandmother's affection? When a beagle “marks his territory” and ruins a picnic, Nina worries if she can ever convince her grandmother to allow a dog to live with them. 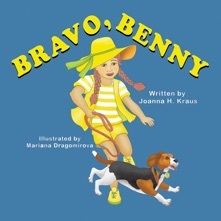 But when a snake threatens Granny Lil, a barking Benny races to the rescue. 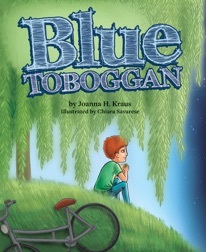 An intergenerational story geared to readers 4-8. Available on Amazon and Barnes & Noble websites or order through your favorite bookstore via Ingram. 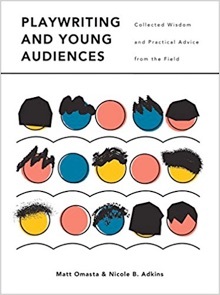 I’m proud to be included in a new book called Playwriting and Young Audiences published by Intellect Ltd. The book provides a range of perspectives from 75 practitioners and artists offering practical advice and wisdom. When a flower girls gets stage fright and can't start the wedding procession, she’s convinced no one will forgive her. But her Hispanic family demonstrates their understanding and unceasing love. 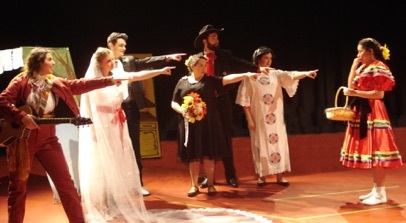 The 30-minute bi-lingual participation play, adds music and dancing and is geared to a K-2 audience. It premiered at the Utah Valley University and toured area schools in 2018. For further information, contact the playwright.